How can a hypervisor’s resources be guaranteed to be used efficiently to minimize data center power and cooling costs? 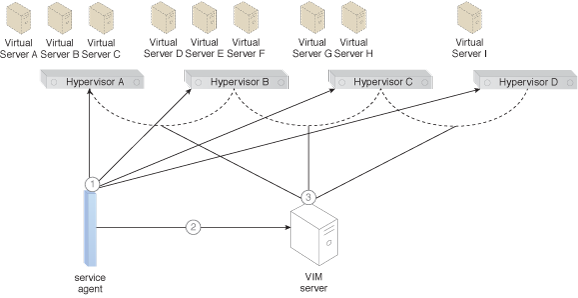 A hypervisor’s resources need to be used in the most efficient way possible in order to minimize data center power and cooling expenses. The host’s capacity is utilized in the most efficient manner possible, so that the host hypervisors that are not being used are powered off. The capacities of the hosts are evaluated, virtual servers are distributed between the hosts, and the hosts that do not end up running any virtual servers enter into standby mode. The Power Consumption Reduction pattern is applied (Part I). The Power Consumption Reduction pattern is applied (Part II). The Power Consumption Reduction pattern is applied (Part III).